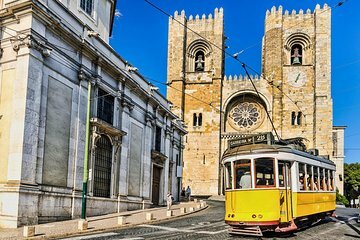 Lisbon’s majestic Old Quarter—Alfama is a must-visit area. With its cobblestone alleyways, steep staircases, and historic buildings, there’s so much to see and learn about its past. Explore Alfama on foot with a guide, who can educate you about area’s history. By going on a walking tour, you’ll access places that can’t be reached by public transport. Highlights include Sao Jorge Cathedral, and the Miradouro Largo das Portas do Sol viewing point.